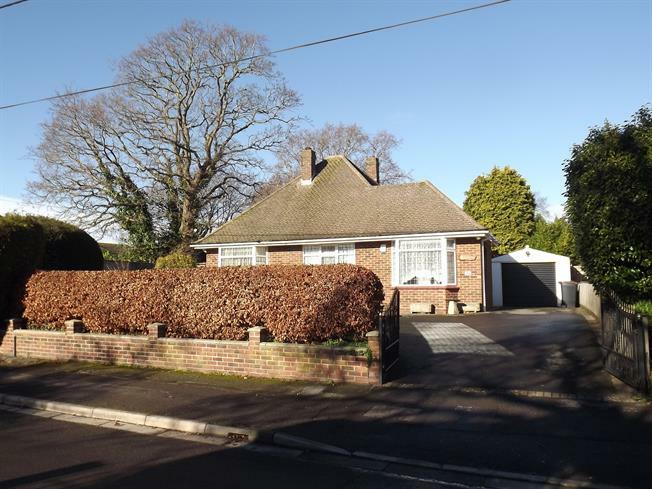 Detached Bungalow For Sale in Christchurch for Asking Price £400,000. This double bay fronted detached bungalow enjoys lovely gardens with privacy and elbow room, was built in the 1950's and has been excellently presented. It offers two double bedrooms with wardrobe cupboards, shower room, entrance hall and porch, modern kitchen with built in oven and hob, conservatory, 24'6" triple aspect lounge/diner, modern combi gas boiler, part uPVC double glazed and secondary glazed, summerhouse with 5' decking area and lighting, greenhouse, shed, garage with power and light and plumbing for washing machine and own gated driveway with enclosed, generous front garden.